Synopsis: In these gripping and intense stories, Richard Lange returns to the form that first landed him on the literary map. Sweet Nothing is an unforgettable collection that shows once again why T.C. Boyle wrote, "Richard Lange's stories combine the truth-telling and immediacy of Raymond Carver with the casual hip of Denis Johnson. There is a potent artistic sensibility at work here." 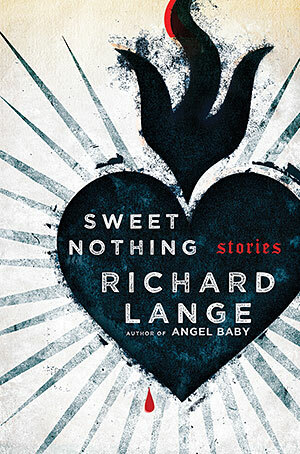 Author: Richard Lange is the author of the story collection Dead Boys and the novels This Wicked World and Angel Baby. He is the recipient of a Guggenheim Fellowship, and his fiction has appeared in Best American Mystery Stories 2004 and 2011. He lives in Los Angeles. I've been meaning to pick something by Richard Lange for a long time. I loved his collection Dead Boys - even reread it a few times. He's got some tight story telling skills and I think you guys will enjoy this one. And after reading David James Keaton's brick of a book, hitting up some short stories might be a nice change. Thanksgiving and NaNoWriMo slowed down my reading pace. I'm reading it now and will have some questions soon. Just a note to let you know I'll be lurking around here, ready to answer any questions you might have. I hope you enjoy the book!